Earlier in the meet Vladimir Morozov broke the championships record in the 100 freestyle in the lead off leg of the 4 x 100 freestyle relay in a time of 45.52 and than upset Olympic Champion Florent Manaudou to take the 50 freestyle crown, in tonight’s final he was looking to combine the feats, walk away the 100 freestyle world champion with a new championship record. At the 50 meter mark Morozov had a lead of 76 one hundredths of a second over American Jimmy Feigen, turning in a time of 21.48 not only ahead of his own championship record (21.62), but also well ahead of Amaury Leveaux world record split of 21.72. Morozov well able to stay well ahead of the field in the last 50 meters, but proved to not have enough to stay on record pace, finishing in a winning time of 45.65. “Before the race, I thought I had to break the world record to win a gold medal here. That was not really possible for me today,” said Morozov. The race for the final two medal placings was an exciting coming down to 4 one hundredths of a second between Australian Tommaso D’Orsogna who earned the silver in a time of 46.80, Russian Evgeny Lagunov who collected the bronze touching in a time of 46.81 and Italian Luca Dotto who finished just outside of the medals in a time of 46.84. “It’s a pity I just missed the second position by 0.01 seconds, but at least I was fast enough to avoid the fourth position,” commented Lagunov. With Morozov and Lagunov finishing for gold and bronze it is only the third time Russia has had two men on the podium in any discipline in championships history. The previous two were in the 100m and 200m breaststroke in 2000. Jing Zhao of China repeated as the 50 backstroke world champion in championship record time 25.95 beating the previous record of 26.11 which she set in the semi-finals. The strongest of those opponents was Olivia Smoliga of the United States who broke the American national three times during the meet. First in the preliminaries where she surpassed Natalie Coughlin’s record of 27.08 set in 2002 by swimming a time of 26.75. In the semi-finals she improved on her time posting a 26.57 and in the final broke the record once again finishing for the silver in the time of 26.13. Finishing third in a new Polish national record time of 26.50 was Aleksandra Urbanczyk, who broke her own national record of 26.69 set in 2009. “It is my first medal at a world championship, so I am over the moon,” said Urbanczyk. After winning the 200 freestyle and 200 IM as well as setting world records in the 100 and 200 IM one might think that Ryan Lochte was going to be unstoppable, especially in the 200 backstroke where he holds the championship record and is the reigning world champion, but that was the furtherest thing from Radoslaw Kawecki’s mind. Kawecki’s victory was the first time in championships history that a Polish swimmer has stood on top of the medal podium. Lochte who had his largest lead over Kawecki of 35 one hundredths of a second at the 150 meter mark finished second in a time of 1:48.50 with fellow American Ryan Murphy finishing third in a time of 1:48.86. “I am pretty tired. I did not expect to win anything here. 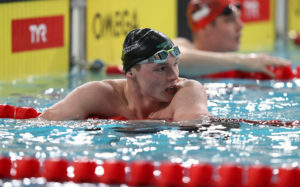 I was really surprised that I was still quite close to Ryan LOCHTE (USA) after 150m,” said Murphy. Coming into the world championships Rikke Moeller Pedersen was already having a great start to the 2012-13 season. At the European Championships the Dane won the 100 breaststroke, setting a European record in the process (1:04.12) and also came away with a win in the 200 breaststroke swimming the fastest time in the world, 2:17.26. Her successful season has continued with her performances at the world championships. 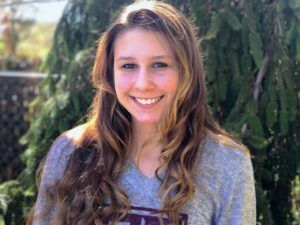 Pedersen collected a bronze in the 100 breaststroke, swimming a best time of 1:04.05 and on the final day of competition the Dane won her first world championship in the 200 breaststroke in both a championship and European record time of 2:16.08. Kanako Watanabe of Japan finished third in a time of 2:19.39 overtaking both Jamaican Alia Atkinson and Russian Maria Temnikov in the last 50 meters. In his first swim of the night American Ryan Lochte had to settle for the silver in the 200 backstroke, he did not want to suffer the same fate in the 100 IM, especially having broken the world record in the semi-finals. Australian Kenneth To did his best to be the second swimmer of the evening to have an upset win over Lochte. To the World Cup Series champion went had a strong lead after the first 50, 62 one hundredths of a second ahead of Lochte and only 6 100 hundredths over the world record split. Lochte narrowed the gap between himself and To in the breaststroke and overtook the Aussie in the final 25 meters to win the event touching in a time of 51.21, five tenths of a second slower than his semi-final world record. 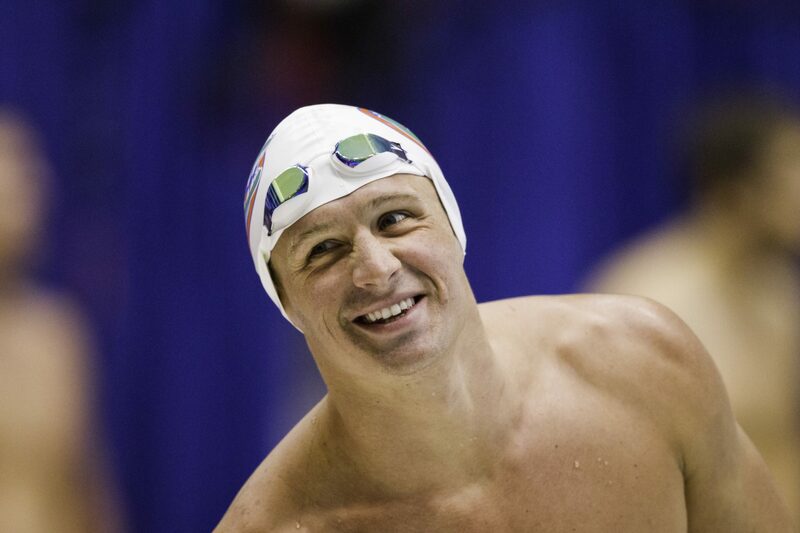 Winning the event Lochte became the first man to win the 100 IM at three world championships and also tied the record set by himself and Neil Walker for the most medals (7) at one world championships, a record that he is sure to break later tonight. George Bovell III of Trinidad and Tobago came home with the bronze finishing in a time of 51.66. Italian Ilaria Bianchi collected her country’s second gold medal of the championships winning the women’s 100 butterfly in Italian national time of 56.13, breaking her own record of 56.40 set in November at this year’s European Championships. “ It is the first time I’ve been really nervous before a race,” said Bianchi. Chinese swimmer Zige Liu finished second in a time of 56.58. Jemma Lowe of Great Britain finished third in a time of 56.66. The separation between first and third was only three one hundredths of a second. Hetland finished in a time of 26.30 with Slovenian Damir Dugonjic finishing second in a time of 26.32 with Florent Manaudou of France finishing third in a time of 26.33. 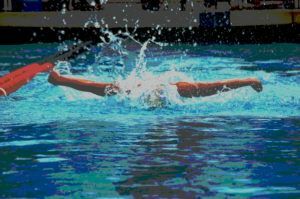 Aliaksandra Herasimenia became the second swimmer in two events to win their country’s first ever world championships. In the previous event Aleksander Rognerud Hetland became the Norwegian to gold and in winning the 50 freestyle Herasimenia, the Olympic silver medalist became the first swimmer swimmer from Belarus to stand on the top of the medal podium at the world championships. “I do not have a good start, but I have a very good racing speed. I am the fastest,” said Herasimenia. Herasimenia finished in a time of 23.64 ahead of Francesca Halsall of Great Britain who collected the silver a time of 23.87 and Jeanette Ottesen Gray of Denmark who finished third in a time of 24.00. Gray collected her fourth medal in Istanbul setting a new Danish record for most medals in one edition of the championships, she also won her fifth career championships medal to equal the Danish record set by Mette Jacobsen. Japan’s Kazuya Kaneda was on a mission in the 200 butterfly. Kaneda’s 100 split of 53.21 was 22 one hundredths of a second ahead of the world record pace set by Kaio Almeida of Brazil in 2009. Only 50 meters later though he was almost two seconds behind the world record pace. Kaneda held off a fast closing Laszlo Cseh to win the event in a new championship record time of 1:51.01 beating the previous mark of 1:51.05 set by Moss Burmester of New Zealand in 2008. Finishing in third was Russia’s Nikolay Skvortsov in a time of 1:52.33. It is interesting to note that the 200m butterfly remains the only men’s discipline at the world short course championships in which the USA has never won a medal. With his win in the 1500 freestyle Mads Glaesner of Denmark who won silver in the same event in 2010 won his first world champsionships gold medal and became the second Dane of the evening to stand on top of the medal podium. Glaesner overtook Italian Gregorio Paltrinieri in the last 100 meters to win the event in a time of 14:30.01. “I knew it was going to be painful and it was. I tried to stick to the Italian guy and it worked,” said Glaesner. Gregorio Paltrinieri who finished second in a time of 14:31.13 became the youngest male medallist, 18 years 102 days, at this year’s championships. “Until the 800m I tried to keep the pace and stay next to him (GLAESNER), then I tried to speed up, but I couldn’t make it. In my whole life I’ve never been able to do the final sprint. There are things I need to work on,” said Paltrinieri. Faroese Pal Joensen finished third in a time of 14:36.93, becoming the first medallist in championships history for the Faroe Islands. Olympic Champion Allison Schmitt of the Untied States survived a scare in the preliminaries coming seventh narrowly qualifying for the finals. Schmitt had the prototypical ‘gutter ball’ swim winning the event out of lane one. The American took the lead after the first 50 meters and controlled the race from thereon winning in a time of 1:53.54. “I was just into racing and I can’t complain about coming out with gold,” said Schmitt. 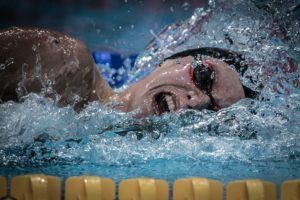 Hungarian Katinka Hosszu finished off a very successful short course season where she won the World Cup circuit and had already collected four World Championships medals going into the 200 freestyle. In winning silver in a time of 1:54.31 she stood on the medal podium for fifth time of the championships she earned the most medals of any female at this year’s competition. Spaniard Melanie Costa Schmid finished third in a time of 1:54.45. In the final event of the championships the American men won the 4 x 100 medley relay to give them a clean sweep of the three team events at this meet. That’s a huge bounceback from 2010, where despite having arguably a deeper team overall, the Americans only won a single relay gold (and didn’t even medal in the 400 free relay). The American relay took the victory in 3:21.03, a truly dominating performance across-the-board. Matt Grevers led off in 50.00, probably the one weak leg if there was one on this relay (he was quite a bit faster individually). Still, most of the backstrokers struggled in the race, and the Americans made the first exchange none-the-less. Kevin Cordes pulled away a little bit more with a 57.15 breaststroke split, though Russia kept things close with a 57.54 from Viatcheslav Sinkevich. The butterfly leg was the difference maker here. Tom Shields split another outstanding leg with a 48.66 to open up a two-second lead from Nikolay Skvortsov (50.27). This was the leg where the Russians new they might struggle without their top butterflier Evgeny Korotyshkin at the meet, and that is exactly what came true. Even with Vlad Morozov splitting 44.95 on the anchor (one of the fastest 100’s you’ll ever see), Ryan Lochte almost matched him with a 45.22 of his own to give the Americans a victory. The Russians took 2nd in 3:22.86. That anchor for Lochte continues to show that he could truly make a run at sprinting toward Rio if he wants to. Albeit in short course, he probably would’ve been 2nd here in the 100 free individually behind Morozov. Australia and Brazil got looked in a battle for the bronze, both making the final exchange nearly dead-even. As has been the story for the last decade of Brazilian swimming, they were just one great leg short (surprisingly a sprinter) and the Australians took the last podium spot by a full second thanks to a 46.1 to Tommaso D’Orsogna. The Italians and the Hungarians were both disqualified, though neither was in a medal position. 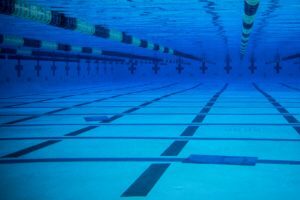 Kawecki better prepared or Lochte just worn out from a long program? I’m thinking the later, but give the Dane his moment. I was thinking that Lochte was vulnerable in the 2Back, having lost to Clary this summer and with Murphy breathing down his back, and also with Murphy fresh at his only event while Lochte was wrapping up a full week. But it was Kawecki rather than Murphy, which totally surprised me. Time will tell whether he remains a regular threat to the Americans. 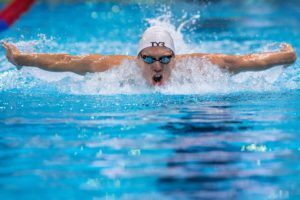 Ups to Murphy too; when is the last time a high school male swimmer medaled at worlds?? 2 days ago.. Hao Yun is the Excatly same age as Murphy.. they are 9 days apart only..
Paltrinieri should really learn how to kick. I feel like that would be beneficial to his swimming career. Schmitt for the win on 2OO free. great Allison . her winning time was just 2/100th of a second off her winning time in London. She is consistent ! Vlad Morozov did a extraterrestrial split on the anchor for the Russians . But still too far to catch up a tired Lochte .